If you are the account owner or have the required permissions then you can add new people to the account. See the permissions page about adding permissions and giving access. From the drop down choose "Invite and manage people". Click on the "Add people" button. Fill in the email addresses, select the user role, and select the projects you want to give access to. Click on the "Send invitation" button. 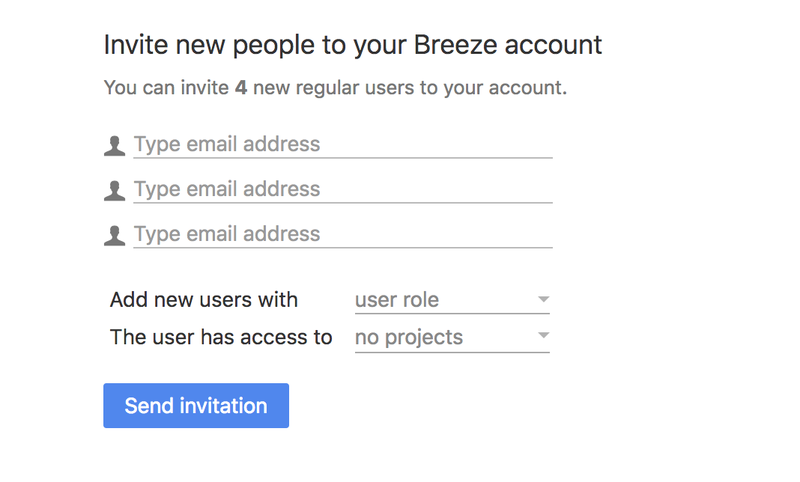 Every user will get an email with an invitation to sign up to Breeze.